This article is about the future of self-publishing – at least for authors, who see the writing not only as a nice hobby, but as a veritable side income, or even as their main income. Authors are now in the middle of the “second digital revolution” – a quiet, inconspicuous revolution. If you ever wanted to publish a book in the past, there was almost only the way of traditional publishing. Self-publishing existed in previous centuries, but it was an expensive and financially risky undertaking at that time. Only at the end of the 90s came self-publishing providers and helped authors transform their works into printed books at a low cost. A true gold rush began. And just like the stories of gold seekers in the Wild West, some of whom have found huge amounts of gold and became immensely rich, we started to hear stories about self-publishing authors such as John Locke and Amanda Hocking, who sold millions of 99-cent eBooks and became rich and famous. More and more authors started to upload their books (unfortunately some poorly written and even worse) on the marketplace, in order to secure themselves a piece of the big cake. But not only some nonsense books quickly flooded the market, but also more and more great and competent authors. Not only new names surfaced as self-publisher whiz seemingly out of nowhere, but also many former publishing authors now take advantage of the best of both worlds as hybrid authors. The flood of books is growing faster than anyone can read these books. 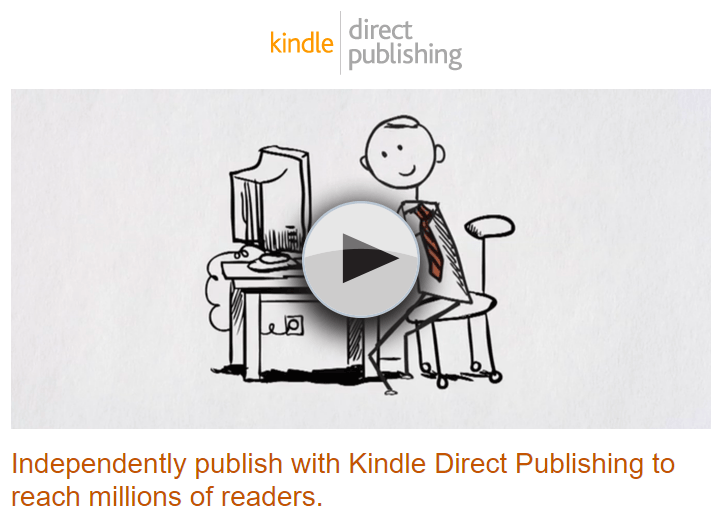 A brave new world for readers, and a real digital revolution for the authors. Books are like any product: if supply exceeds demand, prices drop. If there are several seemingly equivalent products, the buyer usually chooses the cheapest product. The majority of the authors embarked on this price war, in which none of them wins at the end. 99-cent promotions and free books are still there. Not just as short promotions for loyal readers, but over longer periods. This promotes the free mentality for many readers who find that eBooks are free because they do not need to be printed. Of course there are now self publishes so popular that their loyal readers buy their publications at the normal price, but the broad masses of authors in this 99-cent or free world go down quietly. For authors who want to get their work financially rewarded, the times are getting worse. Subscription rates are now flooding each area of the digital world. Unfortunately, the principle of music and video subscriptions cannot be transmitted to the eBook market. While musicians get a good portion of their revenue through concerts and tours and feature films recover their production costs at the cinema, eBook is the actual product for most authors. If ebook sales do not provide any lucrative revenue, it is definitively not enticing anymore to produce high-quality books and out pocket 3-4 digit amounts for copy editing, proofreading and cover design to for authors. Looking at Amazon, we can already see the change and the associated decline in prices. Since mid-2015 authors are no longer paid by books lent, but rather by pages read – mass instead of class. In the first six months after the change to pay the authors by pages read royalties have fallen from 0.53 cents beginning of July 2015 to barely 0.33 cents in January 2016. Writers have it in their own hands: they are the ones who decide whether they release their books for the lending subscriptions or not. For those who publish directly through Amazon KDP, that means though to waive the benefits of KDP select as free promotions at Amazon but the efficacy of them is often overrated. Only if authors stay consistent, eBooks can retain their value. What could one author do when thousands of others continue to share their books? Should you swim with the flow and be satisfied with the few cents? No. Try not to use the free promos for your books. If the reader finds a prospective book of yours, they will buy it instead of a subscription rent or reading it for free. This way, you lose a few readers who read only what is offered for free or included in the subscription. However, those who are really interested in a book, will buy it even if they cannot read it free. In my opinion, this is the way: to produce good books that are worth the money and appeal to the reader. And for both author and reader – to offer fair price.